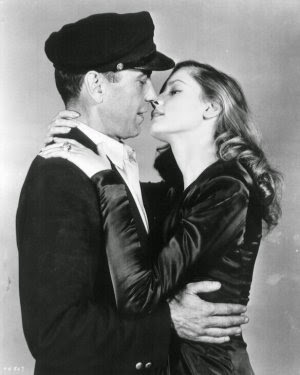 - Despite their 25-year age gap, Bacall held her own against Humphrey Bogart - both on screen in films like To Have and Have Not and The Big Sleep, and in life, where she was his better half until his untimely death in 1957. 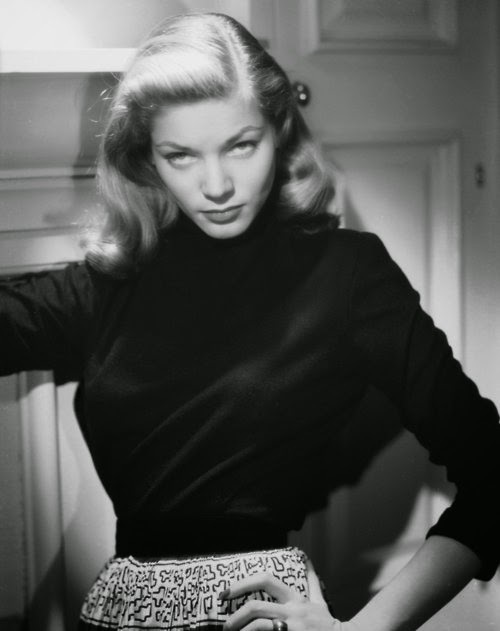 - At just 19 years old she was delivering lines like, “You know how to whistle, don't you, Steve? You just put your lips together and blow” with the confidence we all wish we had. - She was exceedingly gorgeous and insisted on aging naturally. She once said, "I think your whole life shows in your face and you should be proud of that." 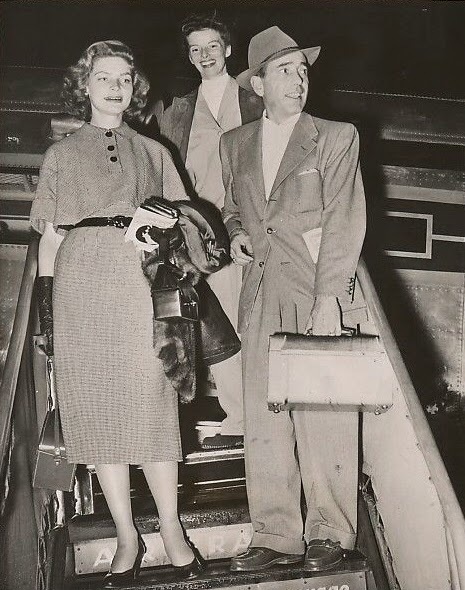 - Bacall was BFFs with Katharine Hepburn for about 50 years. You know those broads had a good time. - She went to see Twilight with her granddaughter, but afterwards bought the girl a copy of 1922’s Nosferatu to show her what a “real” vampire movie was. You go, grandma! 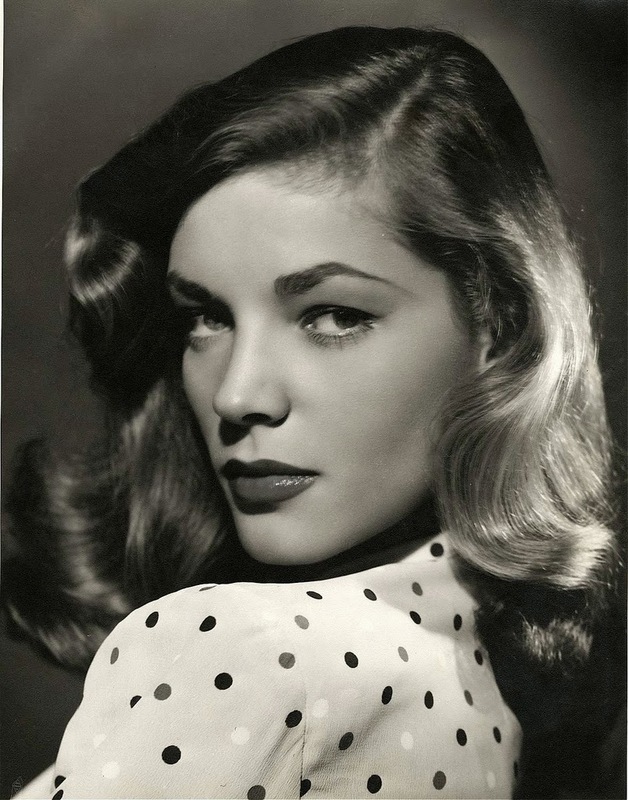 R.I.P Lauren Bacall. You will be missed! Most people know Gene Kelly as a dancer, an actor, occasional singer and perhaps someone who enjoys a rainy day more than most. Some might even know he was a groundbreaking director and choreographer, too. But there’s a lot people don’t know about the handsome hoofer from Pittsburgh. 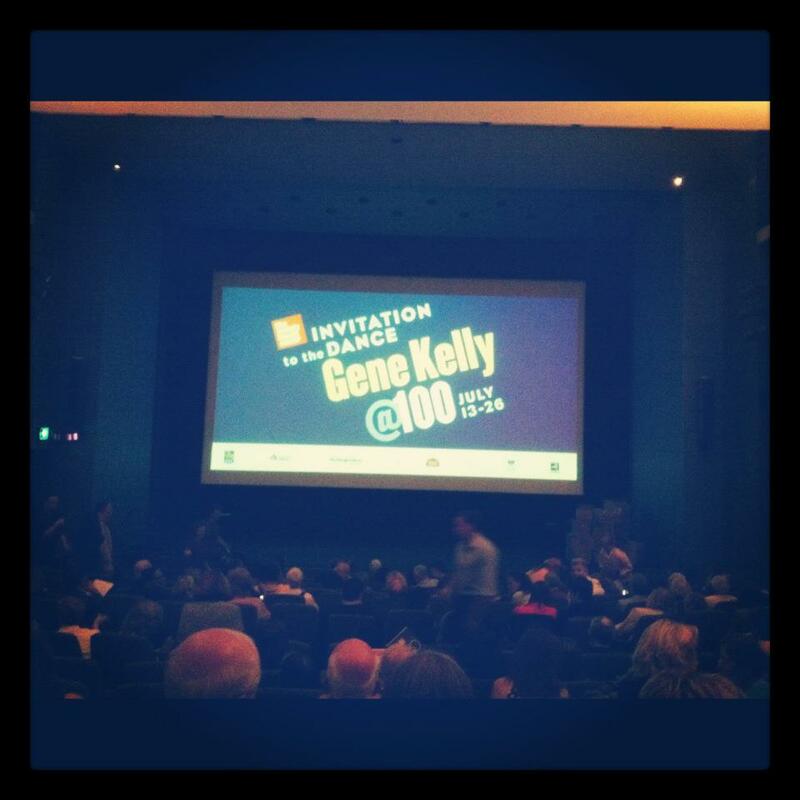 And that’s where the Film Society of Lincoln Center comes in. They’re currently in the middle of a two week retrospective on Kelly. This August just happens to be the 100th anniversary of his birth. I was lucky enough to attend an Evening with Gene Kelly at the Walter Reade Theater last night, hosted by Kelly’s wife, film historian Patricia Ward Kelly - a thoroughly fascinating woman in her own right. Various film clips of some of Kelly’s most famous musical numbers were punctuated by Patricia’s insightful commentary, revealing anecdotes and warm recollections of her late husband. She also dug into stacks of boxes on stage and pulled out some of Gene’s old things to share with us - choreography notes, sweet valentines Gene wrote to her...an Irish shillelagh he kept by his bedside. Perhaps what most surprised me to learn, and maybe it shouldn’t have, was Gene’s voracious appetite for knowledge and his fierce intelligence. 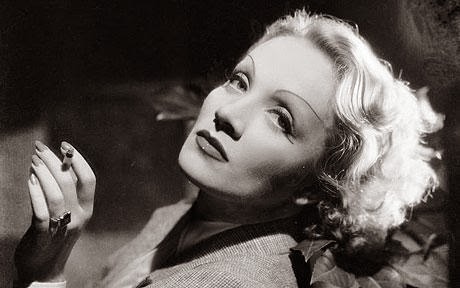 According to Patricia, Gene spoke multiple languages (French and Latin, among them) and liked to quote poetry. The two of them seemed to have quite a connection, despite their 46 year (!) age difference. When they met in 1985, Patricia was 26 and Gene was 73. 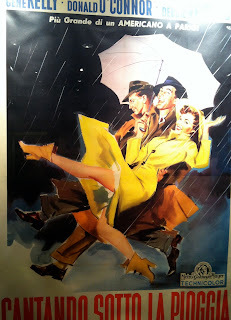 She didn’t even know who “Gene Kelly” was! She got to know the man behind the star, and that’s who she was able to show us last night. After all these years, Gene still has the power to captivate. During the clips they showed, there were audible gasps from the audience (“He’s sooo good looking!” “He makes it look so easy!”). "The Roller Skate Dance" from 1955's It's Always Fair Weather. Because he's tap dancing. On roller skates. I’m a serious fan of the old movie poster. One look around my room and that’s apparent. 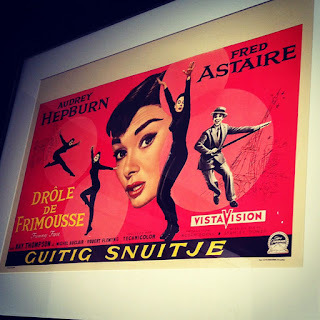 A movie poster hangs from every angle - from A Streetcar Named Desire and Cat on a Hot Tin Roof on one wall to East of Eden and The Hustler on another. 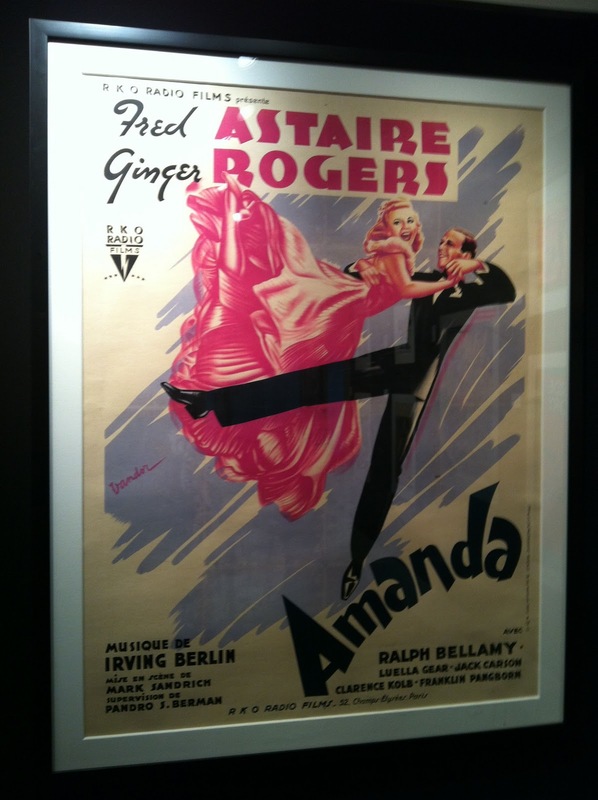 My room’s a veritable classic movie poster gallery. 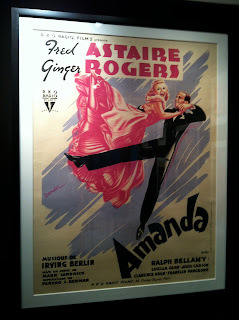 So when I heard Film at Lincoln Center was displaying their own movie poster gallery, I jumped at the chance to check it out. Presented by Turner Classic Movies, the exhibit at the Furman Gallery, called “Style and Motion: The Art of the Movie Poster,” featured a variety of original film posters from the Mike Kaplan Collection. Incidentally, Kaplan is an acclaimed designer/art director of movie posters - and an avid collector of posters from around the world (a guy after my own heart). Last month, recent guest blogger Nicole Turso and I visited the gallery to check it out. 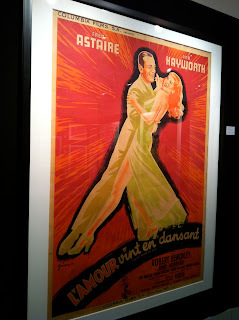 The exhibit wasn’t very large - but it was free, and total movie poster eye candy. I snapped some pics of my favorites. 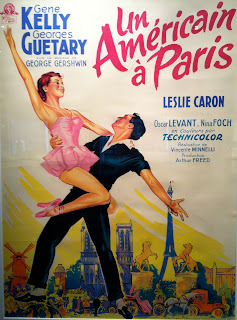 An interesting tidbit: The American in Paris poster once belonged to Gene Kelly himself! Needless to say, I would wallpaper my house with these if I could. Guest Blogger: Oh, The Horror! Ed. 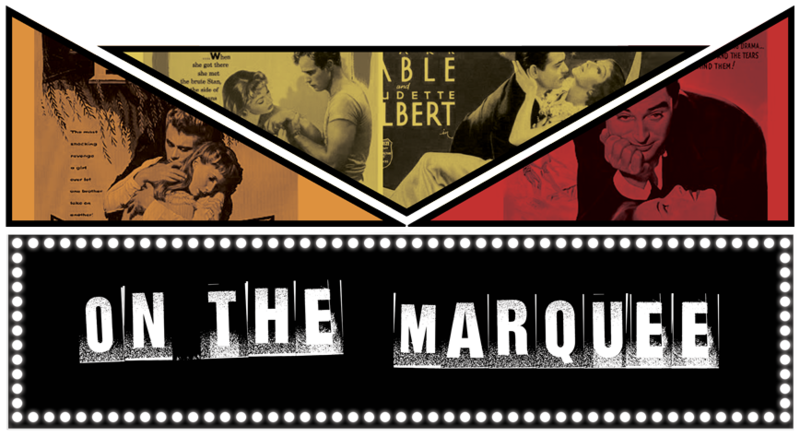 Note: On the Marquee's guest blogger today is Nicole Turso! 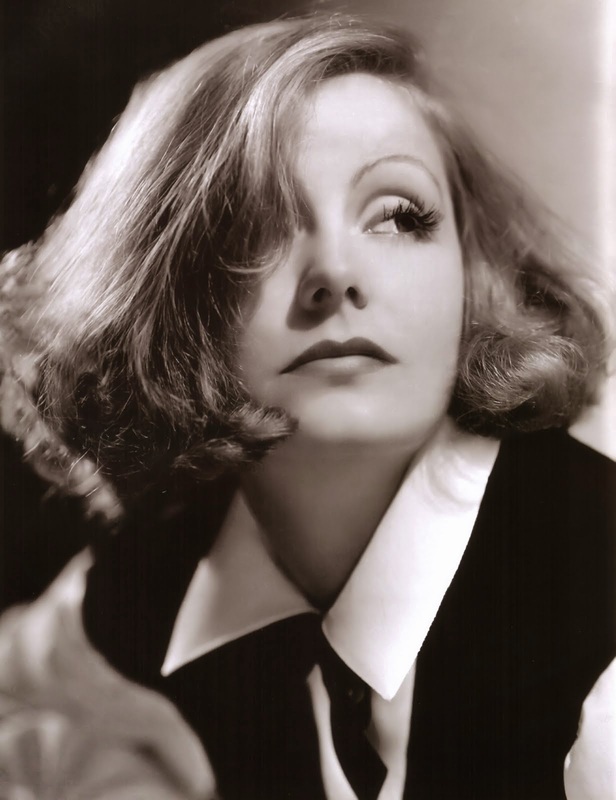 I enlisted her help to do a post about classic horror films, because when it comes to horror, there's a gap in my movie knowledge. Because I am a total chicken. 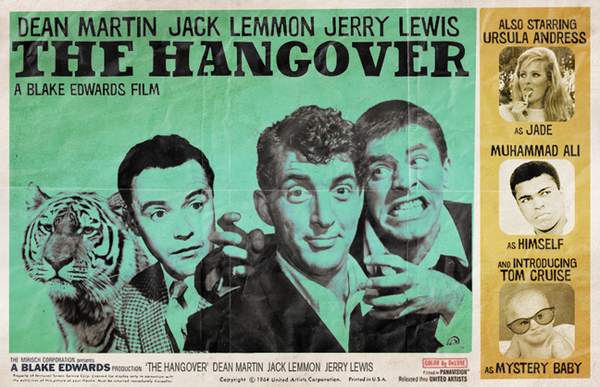 As a classic horror movie fan - news of a remake with today's popular actors can really make you into a raving lunatic. When Hollywood decided 1976's "The Omen" was due for a re-boot, my blood boiled knowing Gregory Peck and Lee Remick would be replaced by the likes of Liev Schreiber and Julia Stiles (Sorry, guys). And while Naomi Watts is a decent match for Hitchcock's golden girl Tipi Hedren - remaking "The Birds" was another one of Michael Bay's bird-brain ideas (Along with yet another Transformers flick). 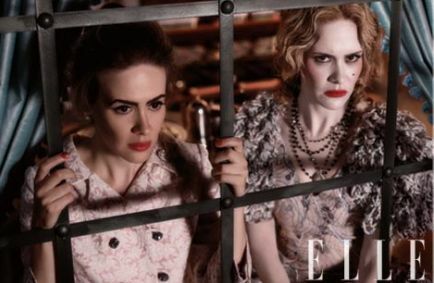 Well, now some of the more iconic horror images are getting the Ryan Murphy treatment on the pages of the latest issue of Elle. Murphy proved his horror chops with FX's "American Horror Story" - as did stars Connie Britton and Kate Mara. Now Murphy puts his muses to the test...in scenes from his favorite thrillers. And since Murphy's poptart comedy "Glee" has been frighteningly-bad lately, it only makes sense Gleeks Lea Michele, Dianna Agron and company would join in on the horror romp. Some of this fan's favorites: Britton as Damien's petrified mother in "The Omen", Mara just before the pig blood hits the fan in "Carrie" and Sarah Paulson as both Joan Crawford and Bette Davis in my all-time favorite creepfest "Whatever Happened to Baby Jane?" Sarah Paulson in What Ever Happened to Baby Jane? What's New is Old Again! This is officially amazing. 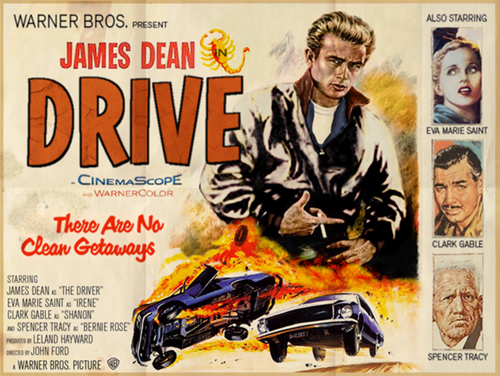 Illustrator/designer Peter Stults imagines what modern-day movies would look like if they were made during past Hollywood eras - and then he creates movie posters for them. My personal fave? 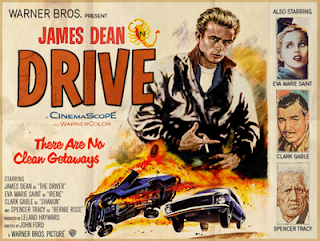 The re-imagining of the Ryan Gosling flick Drive starring James Dean! 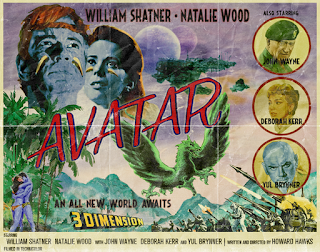 The poster series is called "Movies from an Alternate Universe." The series also includes posters for The Hangover starring Dean Martin, Jack Lemmon and Jerry Lewis and Avatar starring William Shatner and Natalie Wood, among others! This was too good not to share!